The AACR 2018 Meeting in Chicago is ending today and has featured the major new results in cancer treatment and immunotherapy treatments in particular. Immunotherapy, the use of the patient's own immune system to attack their cancer, has become a hot area of research and clinical development. While there are several ways in which researchers are approaching immunotherapy, here I'm going through how synthetic biology would like to improve and add to the immunotherapy arsenal against cancer. 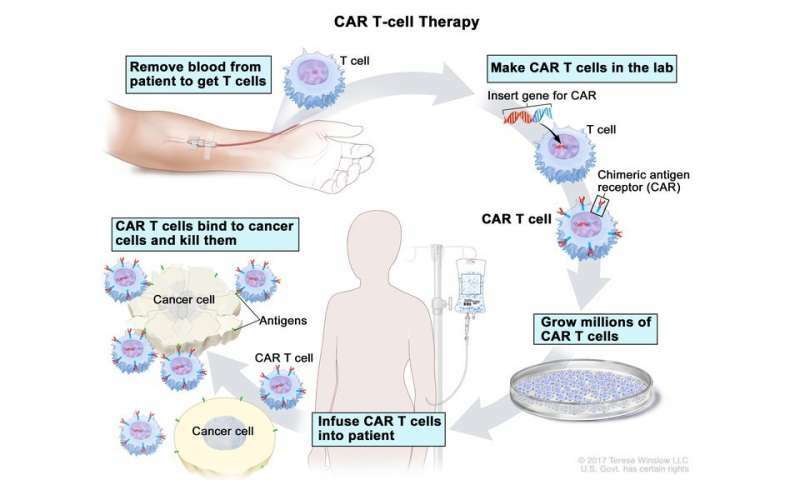 One of the major drivers of cancer immunotherapy interest is CAR-T (CAR stands for chimeric antigen receptor and T is for T-cells) cell therapy. This is a cell-based therapy in which T-cells are taken from the patient and then modified to have specific receptors that help it recognize and attack the cancer. The chimeric antigen receptor works by fusing a target-binding domain that recognizes the cancer and an activation domain that turns on the T-cell into attack mode against the cancer. Plenty of these modified cells are then grown up in the lab and returned to the patient. The first CAR-T treatment was approved by the FDA in 2017 and many more are in clinical trials. Synthetic biology has the potential to add tools for improving immunotherapies like CAR-T cell therapy so it can help more patients. As of now there are still a number of potential challenges to CAR-T including toxicity due to attacking non-cancer cells, diversity of cancer cells which can cause "clonal escape", correct dosing of CAR-Ts into a patient, immunosuppression (turning off) of the T-cells, and T-cell apoptosis (cell death). New types of receptors can be engineered to detect different types of molecules and turn on some cellular output function. The more receptors that can be readily engineered the more molecules that can be used as inputs to a therapeutic cell. One paper showed that they could make synthetic notch receptors that could use different recognition domains as well as different transcription factors as activation domains. That means that a researcher can decide both what the receptor responds to and what it turns on after it binds its target. Typical CAR-Ts only change the input of the receptor, but this kind of receptor can swap out either the input or output or both. Having several independent receptors would allow much more complex programming of therapeutic cells to respond to signals within the human body. Genetic circuits are commonly built by synthetic biologists to enable cells to take some input and compute what to do. Beyond a cell being activated by a single input, cells could be engineered to respond to multiple signals and to make decisions based on both its neighboring cells and environment. One published example of mammalian genetic circuits is 'Boolean logic and arithmetic through DNA excision' (BLADE) and it was able to build 113 different circuits in embryonic kidney and Jurkat T cells. 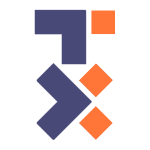 The BLADE system uses recombinases to create logic gates but can also interface with CRISPR–Cas9 to regulate host cell genes. Large circuits like the ones demonstrated with BLADE could be combined with synthetic receptors so cells can make decisions based on what combination of signals they see. Since toxicity can be an issue, it would be good to have an off switch in the event of a problem. One form of toxicity that can happen with CAR-T is called "Cytokine Release Syndrome" or "Cytokine Storm" for especially severe cases. This can happen when the immune system has such a strong response that many inflammatory cytokines are released triggering mild to severe symptoms including fever, headache, rash, rapid heartbeat, low blood pressure, and trouble breathing. Synthetic biologists have already worked on a number of "kill switches" in different organisms. A kill switch could be applied to CAR-T by having a drug-inducible kill-switch in the the T-cells that would give the medical team a way to kill off the modified cells as soon as a bad side effect starts to show up. Researchers and companies are also seeking multiple ways to either switch off or kill the T-cells when they're not needed. These variations on a kill switch can help to make sure CAR-T cell therapy has extra safety measures in place. There are many types of cancer and many ways in which a cancer can avoid successful treatment. Hopefully mammalian synthetic biology can add something to the immunotherapy toolkit by improving CAR-T or other approaches to enlist the immune against cancer.